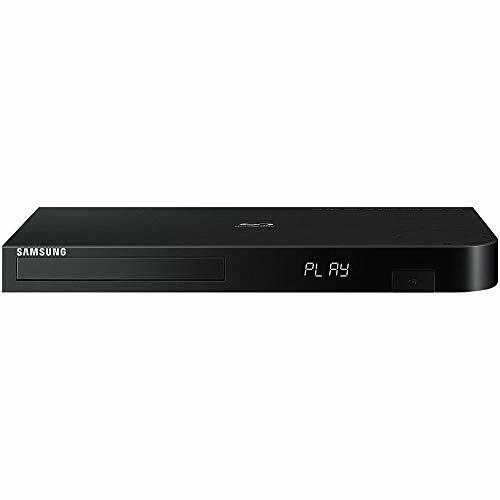 Bundle Includes Samsung BD-J6300/ZA 3D Wi-Fi Blu-ray Player HDMI to HDMI Cable 6′ Microfiber Cleaning Cloth The Samsung BD-J6300 Blu-ray player elevates your viewing experience with the ultimate entertainment technology. UHD upscaling allows you to watch your favorite content at near UHD quality, while built-in Wi-Fi lets you stream movies and shows from a variety of services including Netflix, YouTube, Amazon and MGO. Web BrowserView all your favorite websites and online content on your TV. Stream movies and TV shows, download apps, shop online, or update you social media feeds. Smart Blu-ray PlayerTurn any TV into the ultimate home entertainment hub with full access to all your favorite web and TV content. Built-in Wi-Fi enables content streaming from your favorite services such as Netflix, YouTube, Amazon and MGO. Never miss the shows and movies you love. UHD UpscalingGive your low-definition content an upgrade. The Samsung BD-J6300 Blu-ray player automatically upscales all content to near-UHD quality so you can experience four times the resolution of full HD. Built-in Dual Wi-FiSync and stream all of your favorite TV shows, games, apps, and more with built-in Dual Band Wireless. Access and share your TV and multimedia content from your PC and mobile devices for a truly connected home media experience. 3D Blu-rayDive into the action in jaw-dropping Full HD, 2D, and 3D. Watch as your favorite characters practically leap off the screen when you pair your 3D Blu-ray player.